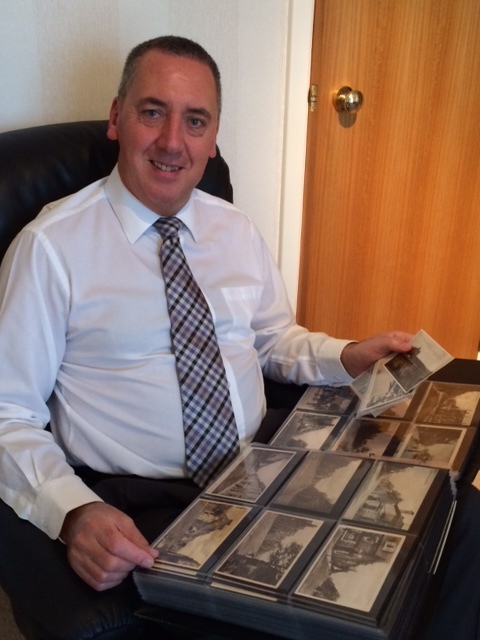 Brian Watt is the local historian and collector that has contributed the old postcards for this months competition. We interview him here to find out what he loves about old pictures, what happens at the Grampian Postcard Club and what his council job in Environment Planning involves. This entry was posted in Local Blog and tagged Competition, Heritage, Local History, Muchalls, Postcard, Reminiscing, Stonehaven.